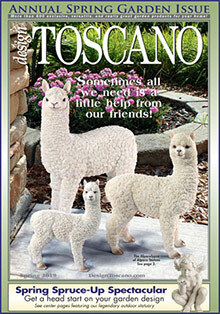 Design Toscano is the country's premier catalog of historical and antique replicas for the home and garden. Enter code - CATCOMDTS - at checkout on the Design Toscano website. Reproduction furniture and accessories - Create the exotic decor of your dreams without leaving home when you shop their collection of African, Egyptian, Asian and Tuscan home decor including furniture, statuary, tapestries, and wall art. Patio and garden decor - From durable resin home garden statues to fountains, architectural features, and bird baths, they have traditional and whimsical garden decor for every garden theme. Choose inspirational angel art, playful resin dragon sculptures, weather-resistant outdoor statues of Catholic saints or any other figure from their extensive collection of cement, metal, and resin garden statuary. Framed art - Bring the old masters into your home with fine reproductions of some of the greatest art work of all time. Design Toscano brings you exclusive sculptures, wall art, furniture and accessories - 95% of which you won't find anywhere else! Browse design Toscano's catalogs for an amazing collection of garden sculptures and statues. Choose their beautiful mermaid art for a children's garden or seaside theme. Add animal garden sculptures and statues to create a playful mood. Or select some angel art for an inspirational garden - their collection even includes the popular weeping angel. Create a dramatic entrance way with a pair of fierce gargoyle statues posted as sentries at your gate, or build the illusion of ancient ruins with architectural columns, pedestals, and reproduction ancient statues. The world is your store when you shop Design Toscano's collection of historical and whimsical furniture. Choose a piece of wall art from Egypt, some small occasional tables from their Tuscan home decor line, or a mask from Africa. Add a collectible mantel clock, a tapestry, and a one-of-a-kind lamp, and soon your home reflects your unique style and flair. For the finest in historical reproduction home, lawn, and outdoor decor, you have Design Toscano. You needn't travel the world to transform your home and garden into a castle -- just visit Design Toscano and let your journey begin!